Leading Manufacturer of led bulb from Bengaluru. VEGA-T-SERIES are designed to open up new possibilities for the use of long-lasting, controllable, low maintenance LED solutions in commercial, retail and other applications where the quality of light is critical to the customer experience. 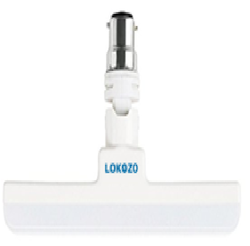 LOKOZO LED Down lights are a range of high-quality luminaries designed to reduce lighting costs without compromising the visual quality of indoor environments. Looking for LED Bulb ?